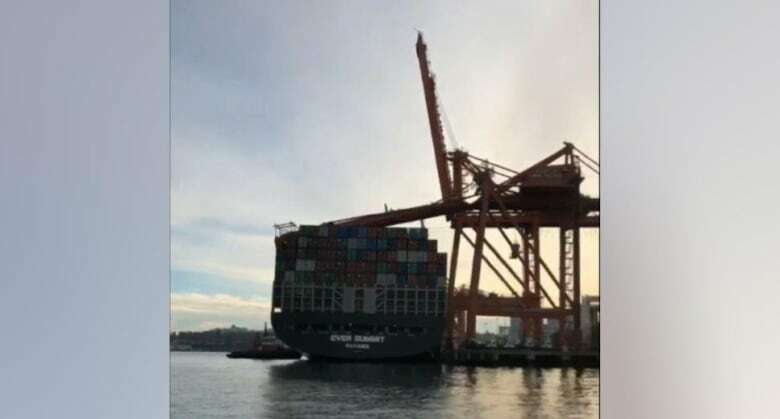 Eight days after it came crashing down, a crane that collapsed on a container ship has been removed from the Port of Vancouver. 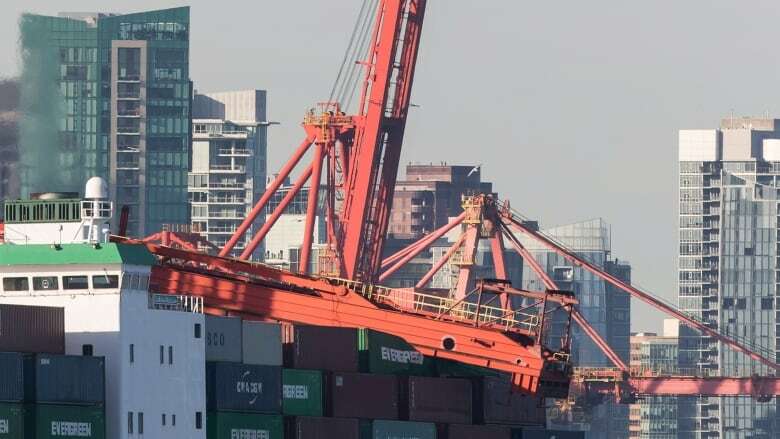 Eight days after it came crashing down on a container ship, a crane that collapsed at the Port of Vancouver has been removed. The ship-to-shore crane tipped over after the vessel, named the Ever Summit, ran into it while trying to berth at Vanterm in the middle of the night on Jan. 28. No one was hurt, but operations at the terminal — the main spot for container loading and unloading at the Vancouver port — had been crippled ever since. Global Container Terminals (GCT) brought in a floating crane known as "The Beast" to lift its orange crane — which is almost 10 times heavier than a blue whale — off the aft side of the ship. The last of the crushed containers were removed late Tuesday. A statement from GCT said full operations were expected to resume at Vanterm at 4:30 p.m. PT that afternoon. The Ever Summit was expected to sail to its next port of call on Thursday. Last week, freight handlers said the port slowdown was costing "hundreds of thousands" of dollars in business because products were stuck at the port rather than sitting on shelves. Peter Xotta, the port's vice-president of planning and operations, said the crane is likely beyond repair. It's unclear how the collision happened. The Transportation Safety Board is investigating.